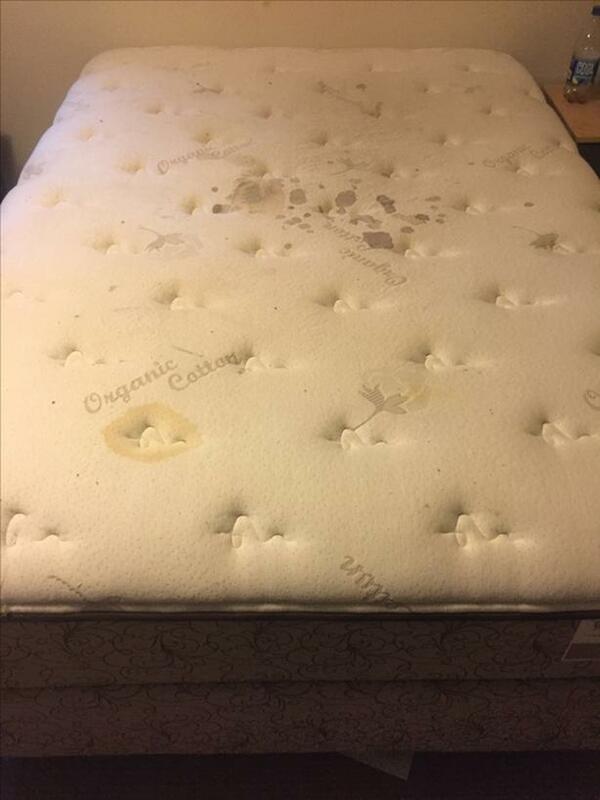 My daughter (3years old), spilled a juice on it but with a mattress cover it's all good. Hasn't been used much, no funky business just a great bed for a great price! Hasn't been used much!